Brenda Colman & Associates is Kamloops' premier choice when it comes to a personable, experienced and trusted mortgage broker. With more than a decade of experience leading an award-winning team, Brenda has grown her brokerage to be Kamloops' best. Her communicative, personable approach ensures her client's needs are both listened and adhered to. She has always been proud to work solely on behalf of her clients, guaranteeing the best mortgage product available. 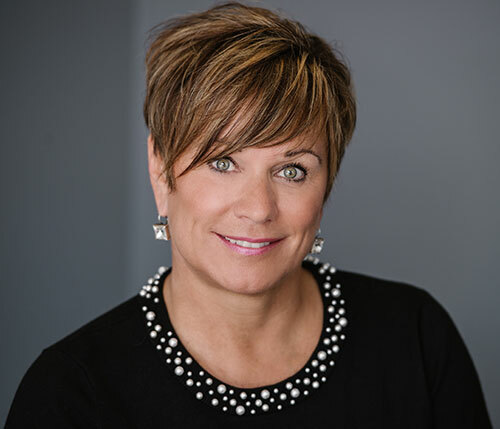 If you have good credit or bad; if you’re a first time home buyer; or if you’re exploring options such as re-financing, renovating, constructing, or consolidating, Brenda is eager to assist you in finding your individualized mortgage. Brenda is a prominent community member who supports a number of local charities and groups. She is currently a member of the Royal Inland Hospital Foundation Society, is on the board of directors for the RIH Foundation, and was an active member of the Kamloops Daybreak Rotary and the Kamloops Home Builder’s Association. Travis is the newest member of the Colman and Associates team. 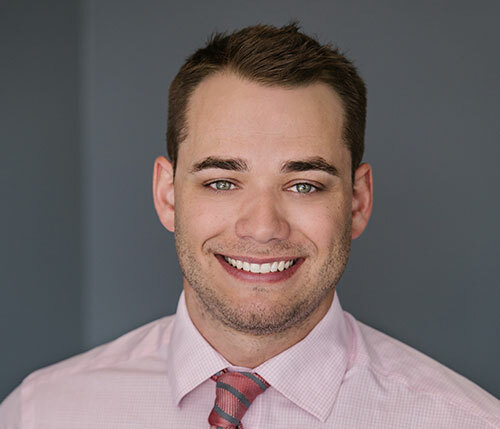 Since completing his degree majoring in Mathematics and Economics, Travis obtained his Mortgage Brokering license through the UBC Sauder School of Business. Travis is driven and enthusiastic, he is thrilled to join an experienced team in a growing industry. From first time home buyers, to seasoned investors, to pensioned retirees, we can facilitate a comfortable and informative home buying experience. We pride ourselves in finding the best mortgage product, along with the best rates, to meet and exceed our client’s needs and expectations. Are you self-employed, commissioned sales, on parental leave, or collecting child tax credits? These income streams can still help you qualify for a mortgage. If you have rental income, we can use this as well. Even with strict federal guidelines we will find a way to qualify you! When it comes time to renew, refinance, or implement a secured line of credit, we’re here to help. We know how important it is to save for the future, and building equity is a great way to save. Let us help you access your equity, and put your money to work. Have you found a house that’s almost right, or is your current house feeling seasoned? Let us help you finance your home projects. With our Purchase/Refinance Plus Improvement program we can capitalize your renovations into your mortgage. And if you haven’t found a house that’s just right, ask about our construction mortgages. It might be time to build the house of your dreams. Life happens, and it's expensive, but we can help. If you have damaged credit, outstanding debt, or previous bankruptcy, let us find you a solution. With expert advice, we can help consolidate your finances, find affordable alternatives, and help you plan for the future. Our office is happy to take care of any concerns you have with your mortgage. If your lender allows, we can change your payment frequency, let you make lump sum payments, get your mortgage balance and penalty, or address any other questions you have. We’re here to make your home-buying and home-owning experience hassle free. Mortgage Brokers are independent, trained professionals licensed to represent and provide you with the best advice for your mortgage needs. Mortgage Brokers primary expertise is locating funding for mortgage financing. They know where the best rates can be found. What's more, they have the knowledge required to present a proposal for financing to lenders in the best way possible to successfully obtain mortgage financing. Mortgage Brokers represent you, the customer, not the lender. Because they are not employees of a lending institution, Brokers are not limited in the product they can offer you. Brokers seek out the best lender package to suit your specific situation, whether it’s with a Chartered Bank, Trust or Insurance Company, or Private Funds. There is a wide assortment of options and features available to homebuyers today. Shopping around takes a lot of time and effort. The mortgage process within today's very competitive marketplace intimidates many Canadian homebuyers. It pays to work with a mortgage professional who will represent you and ensure the mortgage you get is the one best suited to your needs. Choosing the wrong mortgage can cost you thousands of extra dollars. Mortgage Brokers are trained professionals who can help you save on your mortgage dollar. Interest rates are usually the biggest concern for borrowers. Because of their daily contact and professional relationship with lenders, brokers know which project or home attracts a favorable interest rate from one institution, but a higher rate at another. Some institutions, in fact, will only accept mortgage submissions from mortgage brokers. These rates, and preferences for types of mortgages, can change daily, depending on economic circumstances or based on the size of an institution's portfolio in a particular type of mortgage. Your Mortgage Broker keeps current and knows which lender to approach first. As a result, mortgage rates obtained by Brokers are among the best available at the time of placement. When you are making the largest financial decision of your life, you should really consider who is going to advise you along the way. You need someone you can trust, someone who has the knowledge and skill to help you choose the right strategy. Whether you require a residential or commercial mortgage, you need a broker who can assure you the best mortgage rates, as well as terms that will compliment your individual needs. Institution Branch Employees: Banks and Credit Unions employ these people to be their "frontline" to you, the customer. They're generally trained by the Institution to sell only in-house products and services, including all of their investment products. They have to know a little about a lot, and employee turnover can be high. Bank Mortgage Specialists: These people have left the branch and work in the field, they’re still limited by the Bank's products even though they aren’t stationed there. They often offer somewhat better mortgage options for clients than the Institutional Employees, and they aren’t required to sell investment products. Both of these groups are 100% compensated by the bank they work for, as such, they can’t provide objective advice. Mortgage Brokers: The mortgage industry is growing and we are seeing a transition among clients from Institutions to Brokers. Even seasoned industry professionals are making the switch. Why? Mortgage brokers are able to offer more than one lender's products, in turn they are paid a finder’s fee from the lender upon funding. Because of this, brokers offer the best mortgage products, at the best rate, working only in the best interest of the client. Some brokers do choose to charge fees to their clients based on the services they provide, many do not. All brokers must be licensed in B.C. under the Mortgage Broker’s Act and adhere to it's strict regulations. Lending experience: Colman and Associates have worked on all types of mortgages and have the ability to find the best solution every time. You’re guaranteed to get a highly experienced broker working on your mortgage. Because of their industry experience, and excellent reputation Brenda Colman and Associates have valuable long standing relationships with reputable lenders. Continuous Education: Colman is a designated Accredited Mortgage Professional (AMP). The AMP was developed by the Canadian Association of Accredited Mortgage Professionals (CAAMP) as a part of an ongoing commitment to increasing the level of professionalism in Canada’s mortgage industry. Similar to other professional designations, this means Brenda and her team have committed to continually advancing their professional and ethical standards. Yearly educational credits are required to keep the AMP designation, along with memberships in both CAAMP and the Mortgage Brokers Association of BC (MBABC). The Invis Advantage: We choose to be a part of Invis, the largest independent mortgage brokerage in Canada, they offer us the best support for our clients and the best market connections. Their economic research department keeps us up to date with changes in the mortgage markets, with marketing support to our clients, and with innovative mortgage technology. The Invis Group completes over $16 billion in mortgages per year, more than any other brokerage; because of this, lenders offer us their best programs and pricing. As one Invis’ top producing teams in Canada, our clients receive exclusive mortgage products. More of our clients get approved for mortgages they want than any another Kamloops broker. Client Satisfaction: Over 80% of our clients are referred by someone who’s worked with us previously. We strive to keep this number and improve it, it is the ultimate compliment. To us this means we’ve built meaningful client relationships and facilitated a hassle free home buying experience. When you decide who is going to best serve you, consider Brenda Colman and Associates. Treat yourself to a hassle-free, personalized mortgage solution with Kamloops best mortgage lenders! Brenda Colman and her team at Invis were knowledgeable friendly and accommodating. Their expertise and guidance made buying our first home stress free. We felt secure and involved through the whole process and they were patient and informative with all our questions and concerns. We would definitely recommend them to our friends and family. Brenda Colman and her team were very professional, educational and a trustworthy resource for me and my husband. Buying and selling our home was a stressful experience and Brenda made us feel like things were all taken care of. I felt really good knowing that Brenda would give me the best rate available through her experience and network. I was also pleasantly surprised and her teams' follow up and welcoming us into our new home with a beautiful welcome mat and a subscription to Style at Home. That type of attention to detail and personal touch is hard to find at a Bank. Thank you again for all of your help with my mortgage. I truly appreciated how much you went above and beyond to help me understand everything and find me a great rate. I’m super happy in my new home, and will be sure to refer you to any of my friends that may be needing a mortgage soon.